This post is part of The Year of "Healthy series (read about it here) and today I'm sharing one of my favorite mid-morning snacks: one pear and half a dozen dried figs. When I was growing up, my grandfather had a small orchard. While there was an assortment of different fruit trees there, pear trees were clearly dominant. 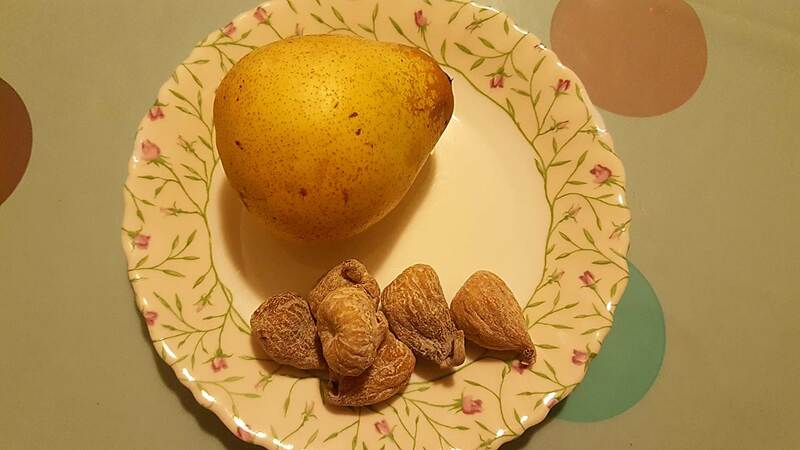 There were pears of all kinds, large and small, long and round. I don't know the name of most of them and I've never seen them at the grocery store either, but I have fond memories of summers where we ate pears with every meal and my mother made pear jam and baked pear tarts. So pears are, to this day, one of my favorite fruits. No only that, but they also make a wonderful snack. 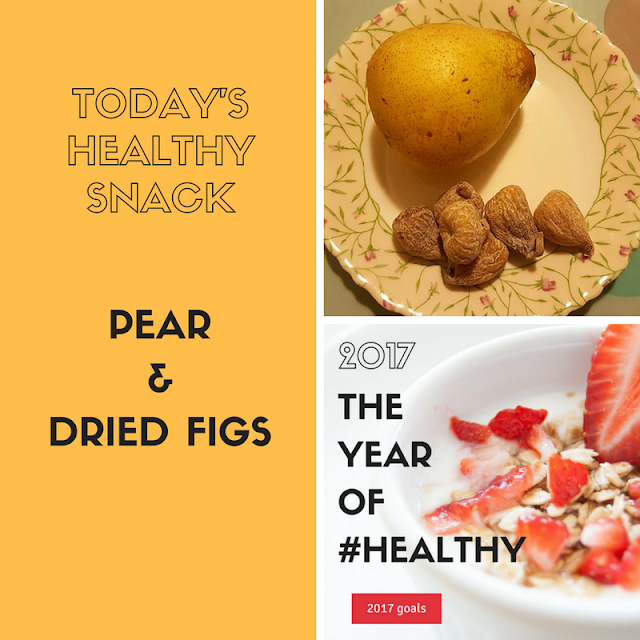 I usually pair pears with just about anything, from other fruits to nuts and cookies, but today I wanted to show you how they how healthy they can be paired with a handful of dried figs. That's awesome your grandfather had an orchard. I'm going to pin this recipe and see if i could give it a try. Yummy! When I was young, we had a fig tree, I would go and pick and eat them on the spot. 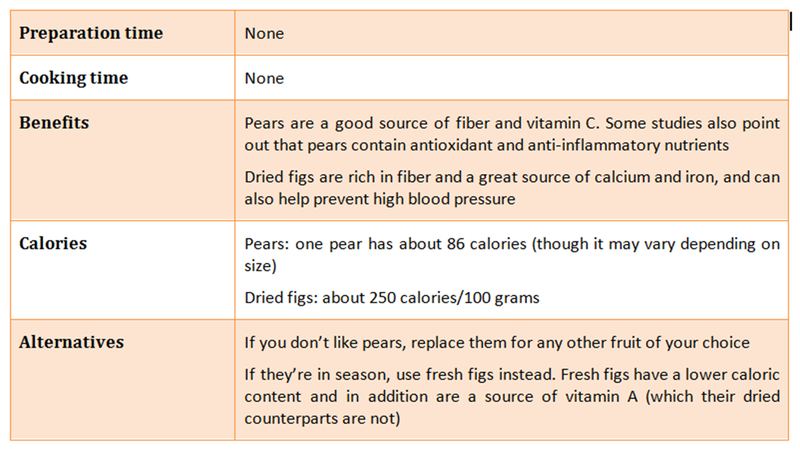 I love both pears and figs, so this combination sounds good to me.